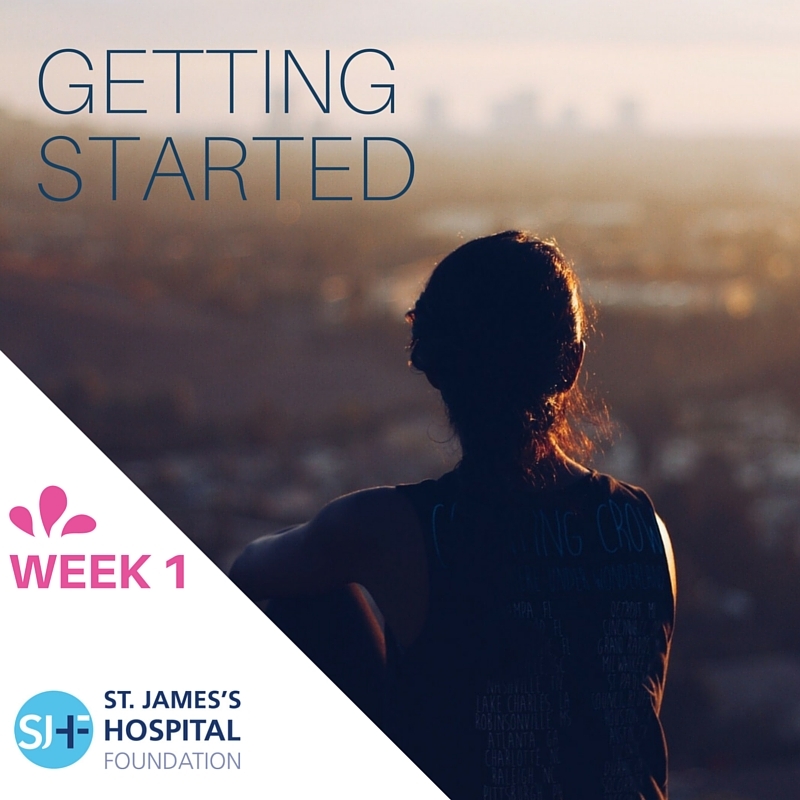 Congratulations on taking the first step towards completing the 2017 Women’s Mini Marathon on behalf of the St. James’s Hospital Foundation. Over the next few weeks, our Physiotherapists will provide you with weekly Women’s Mini Marathon exercise tips. If you have any concerns regarding your health and fitness, it is recommended that you consult your doctor before commencing your Mini Marathon training. Ensure you have appropriate shoes. Increased back/leg aches and pains may be a sign that your footwear needs to be changed. Go to a specialist sports shop (Runhub/Runworx/Runners Needs) for advice on the best footwear for your foot type. Before every session, ensure you warm up adequately with walking/easy running to prepare your joints and muscles for your race pace, include stride outs, high knee lifts, heel kicks, and trunk twisting. Perform static sustained stretches after your walk/jog/run to minimise muscle soreness and joint stiffness. This helps to prepare your body for your next training session. Log onto www.vhiwomensminimarathon.ie and choose a training programme that suits you. There are 3 schedules designed to cater for all levels of fitness. You can train as a walker, jogger or runner and simply choose the plan that is right for you! This is a useful way of achieving your goals and monitoring your progress. Listening to music while training can give you that little boost of energy or motivation to get through a training session. Studies have shown that people that train with a friend or in a group, show up more consistently and go farther than when they train alone. This may not be true for everyone but training with a friend or in a group improves motivation, performance and provides a solid source of accountability to keep you moving toward your goals.